For most children with cerebral palsy, the extent to which they can use their hands is critical to their overall development. Over the last two decades there have been major advances in the understanding of hand function. Particularly in children with cerebral palsy, assessment of hand function has become more exact and the range of possible interventions has expanded. Changes in treatment approaches can be seen in neurorehabilitation, orthopaedic management, developmental pediatrics and rehabilitation including occupational and physical therapy practices. 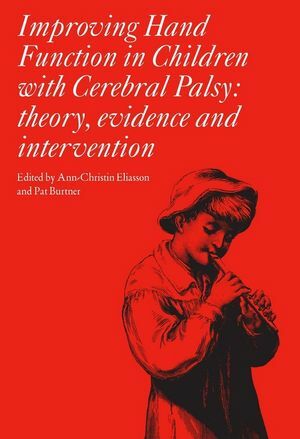 In this book, selected experts from around the world in the fields of neuroimaging, neurology, orthopaedics, anatomy, motor control and motor learning provide fundamental theoretical information for the development of hand function in children with cerebral palsy. The book also shows how theory can be translated into practice by clinicians who provide assessment and intervention services to improve hand use in this population in sections written by researchers in occupational and physical therapy. Linking different fields of knowledge, this book highlights new perspectives and provides the best evidence for different types of intervention. By focusing only on hand function this essential book highlights new concepts for clinicians and others working towards the overall well-being of children with cerebral palsy.